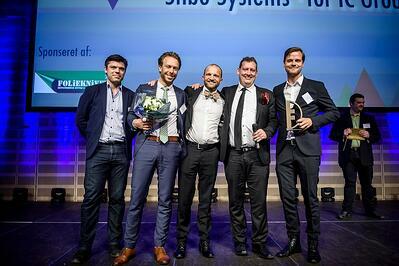 Aarhus, Denmark, 27 May 2015 - Stibo Systems, the global leader in multi-domain Master Data Management (MDM) solutions, has been awarded, along with its customer IC Group, the prize for Best eCommerce Case at the Danish eCommerce Award 2015. The eCommerce Award is Denmark’s biggest competition and awards ceremony for online retailers, and is one of the most sought after and prestigious awards in the industry. A jury consisting of more than 30 experts and decision-makers with extensive knowledge in eCommerce rewards the best companies in 12 different categories. The assessment focuses on many elements, from technology of specific solutions that support eCommerce, to a strong focus on innovation and business acumen. IC Group, one of the largest apparel companies off- and online in the Nordic region, embarked on a digital transformation journey and worked with Stibo Systems’ Master Data Management (MDM) solution STEP to prepare for the way consumers will shop in the future. The project had fantastic end results, setting new standards for greater usability, and adoption of a centralized STEP MDM platform enabled IC Group to create one version of the truth and reduce time-to-market significantly. Stibo Systems is the global leader in multi-domain Master Data Management (MDM) solutions. Industry leaders rely on Stibo Systems to provide cross-channel consistency by linking product and customer data, suppliers and other organisational assets. This enables businesses to make more effective decisions, improve sales and build shareholder value. During the last 30 years, Stibo Systems has helped hundreds of companies to develop a trusted source of operational information. A privately held subsidiary of the Stibo A/S group, which was originally founded in 1794, Stibo Systems' corporate headquarters is located in Aarhus, Denmark. For more information, visit www.stibosystems.com.